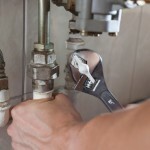 Commercial Plumber, FishHawk, FL | A Step Above Plumbing Inc. Commercial Plumber, FishHawk, FL | A Step Above Plumbing Inc. If you choose us as your commercial plumber, we promise we’ll take your plumbing repair, installation, and maintenance needs in FishHawk, FL seriously and always go the extra mile for you. Commercial plumbing systems are entirely different than residential ones. Since they are designed to serve more people and to carrier heavier loads, they are more complex and are often comprised of a wide range of different parts and devices. This is why, when your business runs into a plumbing problem, you need a commercial plumber who knows what they’re doing to get things back up and running again. The next time you need a commercial plumber, you can’t go wrong reaching out to us at A Step Above Plumbing Inc. for help. We work on commercial plumbing systems throughout the FishHawk, Florida area all the time, and we are known for the quality of our service and exceptional workmanship. Whatever problem you’re having, we guarantee we’ll be able to take care of it quickly, effectively, and professionally. You can trust us to provide you with reliable plumbing solutions as your commercial plumber because we hold three state master licenses. Not only that, but we also have more than a decade of experience working on commercial plumbing systems and exceeding the expectations of our clients. If you choose us as your commercial plumber, we promise we’ll take your plumbing repair, installation, and maintenance needs seriously and always go the extra mile for you. For more information about our plumbing services and what sets us apart, get in touch with us at A Step Above Plumbing Inc. today. We look forward to hearing from you and to serving your business!